Looking to create an event to be remembered? 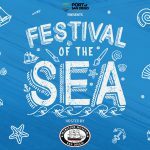 A themed event at the Maritime Museum of San Diego might be just the ticket! From a large affair to an intimate gathering, our knowledgeable event planners will ensure that everything runs smoothly. We specialize in everything from Charters, Themed Parties, and Team Building Events. We make planning easy and execute events perfectly. Our experienced staff will coordinate each element of the event to tie into the theme. We will create an event guests will talk about! Let the experienced event planners at the Maritime Museum of San Diego make your event seamless. Having done events for over 30 years, Maritime Museum of San Diego knows how to make each event special. Now San Diego’s waterfront has the newest and most comprehensive results-oriented team building program for the corporate client or private group that seeks to develop the skills of leadership and communication and go to the next level of excellence. Watch your staff become a crew as they experience the adventure of team building aboard the 130′ schooner Californian. 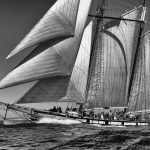 The rigors of sailing a tall ship will challenge your team’s minds and bodies and emphasize the critical importance of working together to meet and overcome obstacles to success. Our innovative teambuilding program empowers people through experience and collaborative relationships. We provide opportunities for people to learn about themselves and others based on their actions and reactions in given situations. Teambuilding through experiential education allows participants the opportunity to work through a problem-solving mission at an accelerated rate in comparison to their daily jobs and evaluate their performance as a unit. Californian teambuilding participants are placed in an unfamiliar environment that breaks down barriers, levels the playing field and heightens awareness creating a readiness to learn. 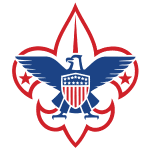 In a cooperative environment, conducive to risk taking, the group is presented with new skills and problem-solving situations leading individuals to actively engage in the challenges at hand. The excitement of the activity causes individuals to focus on the task and, consequently, remember what they have learned and experienced. This program encourages individuals to rely on each other, strengthening the level of trust within the group and allows them to explore the hidden resources amongst team members creating a higher value for individual differences. A platform for trying on different leadership styles is created while participants practice communication skills. Throughout the problem-solving process, a direct correlation between cause and effect becomes evident. Thus the consequences of actions and behaviors are easily observed. Once awareness is created, individuals have the opportunity to determine the effectiveness of the displayed group and individual behaviors. Many of the behaviors demonstrated during the experience also occur in other settings. Our goal is to assist participants as they draw parallels between the activity and the office and develop plans to support and/or change certain behaviors. Implementing this plan allows for positive personal and professional changes in the lives of individuals and thus develops the team as a whole. Are you ready for the Adventure? Contact us to learn how we can customize a team-building sailing program to meet your specific goals. 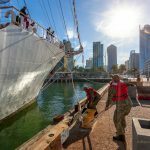 All Maritime Museum of San Diego Captains are fully licensed by the United States Coast Guard and are professionally trained. Theme Events are fun for everyone! Positive reinforcement, recognition, and rewards are the top motivators of individual performance – and few strategies motivate people like a dynamic themed event. Theme events are fun, stimulating, engaging, adaptable, and are sure to achieve any organizational goal. You are sure to find the Maritime Museum of San Diego and their Special Event Department a very affordable way to dazzle and delight the imaginations of your guests. Our goals: captivate the senses of your audience, create a feeling of event originality, influence subconscious as well as conscious reactions, and integrate the event into a memorable occasion. We will exceed your expectations and demonstrate your organizations commitment to strong performance. We will work with you to create a truly memorable event concept. With the right mix of live entertainment, theatrical décor and special effects we will immerse your guests in the experience. Choose from the many themes that we have available, or we can create a customized program that will stimulate the senses and leave your audience spellbound. Come try your luck. Beat the dealer! Our casino theme parties are great for your next corporate function, private party or fund-raising event. We offer the most popular casino games–Blackjack, Roulette, Craps, and Texas Hold’em–as well as Caribbean Stud, Let It Ride and 3-Card Poker. Our casino theme parties are great for your next event. Your venue can be outfitted in a variety of Casino themes, from the high roller black tie event complete with brilliant ambiance to the casual river boat scene. Entertainers and magicians stroll the floor entertaining your guests while culinary delights, interspersed though out the floor tantalize the palates. Centerpieces of chips, dice, and cards bring the theme together for a fun and memorable evening. As a topper to the evening prizes are included for the high winner. Roll the dice! Arrgh Matey! This be the night to celebrate yer crew with music, grog and a fine feast! It’s the new twist on the mysteries from the days of old. We take you to a pirates’ ship paradise where your guests are the pirate kings. No tattered cloth and blackened teeth here! Lanterns light the night on cocktail tables. International stations are draped in rich colors and brocade linens and accented by candle light. Treasure chests filled with faux jewels, urns, and trinkets of plunder surround your incredible cuisine. The ships decks are full colorful rich fabrics and a multitude of pirate paraphernalia to include treasure chests, lanterns, swords, jewels, urns etc.… Bamboo covered bars with pirate flags; skull & crossbones banner flags line the perimeter of the event and take your guests back to the times where piracy was king. Listen to the light hearted Privateer Band as well as be entertained by pirate characters dressed in their gallant garb and sing along or dance the night away. Come Samba with us! Carnival is a party where everybody lets it all hang loose. It’s time to forget inhibitions, wear a wild costume, play a character, and live your fantasies. By tradition, the party starts on Saturday, and ends on Fat Tuesday. Your event can begin and end when you prefer. Large feathered Carnival masks set the mood and color palette for this light hearted, yet chic evening. Masks are created with multiple colored feathers, each different. They rise on poles, covered in marabou and brightly colored bases. The tables, draped in bright color cloths, lime, orange, yellow and hot pink then topped with soft palms. 400 feet of string lights add a touch of local flavor above the festivities. The over all effect of this event is high style design set in Caribbean colors and folklore, a perfect presentation for your guests. Of course the cuisine is from Creole to Cajun. The music from Jazz & Blues to Zydeco, you choose! It’s time to let your hair down, put your shorts on, and enjoy the ambiance of the westerly horizons. It’s time to celebrate the change in latitude and have a change in attitude- the tropical warm breeze; swaying palm trees and a star-studded sky are the basic ingredients for your guests to experience what it really means to live in the tropics of Southern California. Tables are covered in festive linens topped with Margarita centerpieces and golden doubloons. Dining faire can be customized from the Caribbean to the Polynesian Archipelagos. Grab a friend and dance the night away with one of local island themed bands or interactive entertainers. Multi-string lights enhance the lighthearted mood. A variety of tropical décor options are available that will mesmerize you with their beauty and personalities – Hold on to friends, take a picture – As a reminder of an exceptional night to be treasured for years to come! Charters are special experiences that create lasting memories! Our ships are available for corporate team building, private parties or just an enchanting evening under the western skies. In addition to our fleet, Maritime Museum of San Diego has partnered with other organizations to offer additional ships for larger groups. Multiple vessels offers the opportunity for large groups to sail together and enjoy the best of what San Diego has to offer. Take your group for a sensational afternoon or sunset sail aboard the 1847 Revenue Cutter replica, Californian, the Official State tall ship of California. Minimum rate is for four 4 hours which includes three hours of on the water time, and she can be scheduled for multi-day trips. All sailings include Captain and crew. Food and beverage service is available. The Californian can accommodate up to 50 guests while sailing or up to 100 for dockside receptions. Enjoy a memorable sail aboard this iconic ship for your next function. Minimum rates are for four 4 hours which includes three hours of on the water time, and she can be scheduled for multi-day trips. All sailings include Captain and crew. Food and beverage service is available. The San Salvador can accommodate up to 40 guests while ocean sailing, 80 in the bay, or up to 100 for dockside receptions. If you’re looking for a more intimate bay cruise, then you might want to consider chartering the Pilot Boat. Pilot can accommodate up to 25 passengers. If you’re looking for a unique bay cruise, then you might want to consider chartering the Swift Boat. Swift Boat can accommodate up to 25 passengers.